Does the threat of a tick bite make you think twice before you go in your back yard? You could apply pesticides to your lawn, but there are health and environmental risks that come with doing that. So how to safely get rid of the ticks that threaten you and your family with Lyme and other diseases? 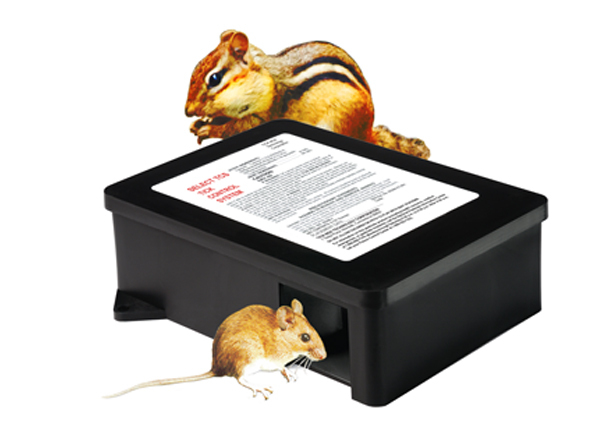 One method the Centers for Disease Control and Prevention (CDC) has researched and developed is a "bait box" for mice, chipmunks, and other small mammals—the critters that are most responsible for spreading Lyme and other tick-borne illnesses. The box doesn't kill the rodents but instead coats them with an insecticide that kills the ticks they're carrying. The insecticide, fipronil, is the same chemical used to control ticks on dogs and cats (Frontline Top Spot, for example), but at a much lower dose so that, the CDC says, it won't hurt your cat if he happens to catch and eat a mouse or chipmunk. How does this help control ticks in your yard? When an adult tick lays eggs, they hatch into tiny larvae that are about the size of the period at the end of this sentence. To survive, they need a blood meal, and they'll latch on to mice and chipmunks to get it. (One mouse can carry 300 to 400 tick larvae.) When the larvae feed on the rodents they can acquire the pathogens that cause Lyme, anaplasmosis, babesiosis, and other diseases, though the mice and chipmunks won't get sick from those illnesses. In the spring and early summer the larvae molt into nymphs that are about the size of a poppy seed. They'll look for another blood meal—from small mammals, a deer, your pet, and even you. (Deer don't carry Lyme disease but can help spread it by bringing ticks into your yard.) In areas where Lyme is prevalent, about 1 in 4 of those nymphs can be infected with disease. Because the nymphs are so small you may not notice when they are attached to your skin and may even mistake them for a speck of dirt or a freckle. That's what makes this stage of tick development so dangerous. To interrupt this cycle, the CDC developed and tested rodent bait boxes in field trials and found that they can reduce tick populations from 77 to more than 90 percent. To make them available to homeowners the CDC licensed the boxes to Tick Box Technology of Norwalk, Conn. Because they are registered with the Environmental Protection Agency as a professional-use product, the boxes are only available through licensed pest management companies. And they're not cheap; one box costs $50 to install and the average home needs between 5 and 15 boxes, says Marc C. Dolan, M.Sc., a senior research biologist for the CDC in Fort Collins, Colo. The 5-by-7-inch childproof boxes are anchored to the ground and need to be replaced after about 90 days with boxes that contain freshly treated wicks and new bait, so the cost for an average yard with eight boxes is $800 for one year. Still, that may be a small price to pay for a family that has spent big bucks on medical bills to treat tick-borne illnesses. "It's an environmentally friendly approach to control ticks and reduce the risk of disease, and you're not applying pesticides to the environment," Dolan says. Homeowners don't have to worry about the boxes attracting additional pests, Dolan says. "In studies we’ve done in Colorado, Connecticut, and New Jersey, we never saw a rodent population increase," he says. "If anything, it goes down." The CDC is now conducting field trials to find more efficient ways to service the bait boxes so that they may not have to be entirely replaced, which could make them more financially appealing to homeowners, Dolan says. Boxes are usually put in place in May to target ticks at the nymph stage and replaced in late July or early August to kill larvae. 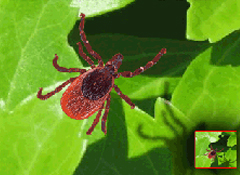 Any boxes installed in your yard now would target tick larvae. The bait boxes are registered with the EPA and in 26 states.